Is there a way to import complete products into QGIS or SNAP?  To import the complete product, you can download from the website running Sen2Agri. Hover your mouse on the product then the download icon will appear on the left side. 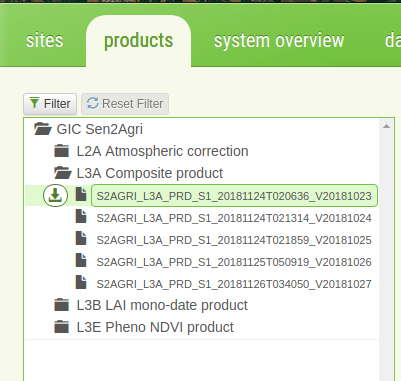 The question is on how to open sen2agri products from SNAP not on how to download sen2agri products using a web browser. So, what you meant was to use directly the result in the folder? I don’t know how to open .xml file with QGIS or SNAP. I could open the TIFF file using SNAP. 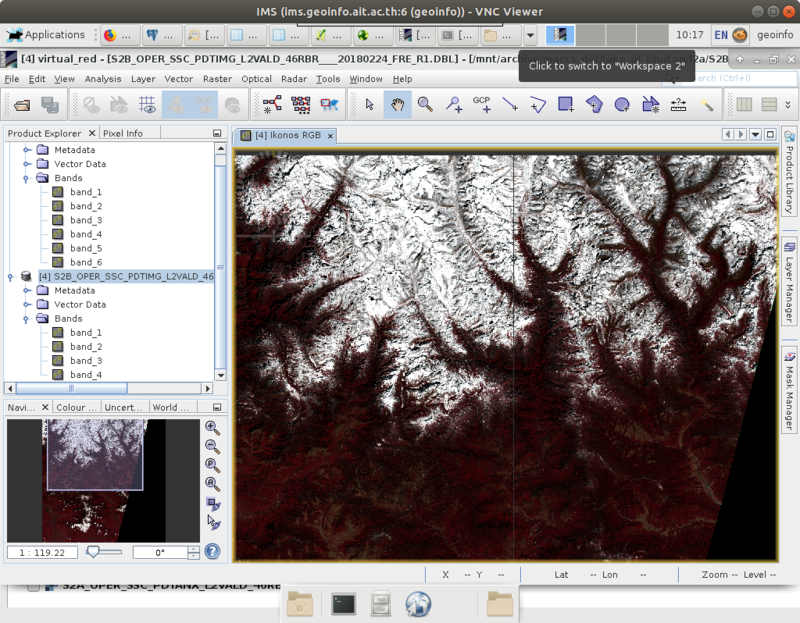 I didn’t try it with QGIS as my QGIS in CentOS is broken. Thank you for your reply. Are you downloading each band separately as tiff files? I accessed the folder directly under /mnt/archive/maccs_def/site_name/l2a/. I opened _R1.DBL.TIF and _R2.DBL.TIF.